MySQL, under Oracle’s stewardship, has sometimes been viewed with suspicion and seen as an open source icon that has been co-opted. But as TickTrade COO Alexander Culiniac can tell you, the cloud-enabled database has cost, security, and management benefits that can’t be ignored. 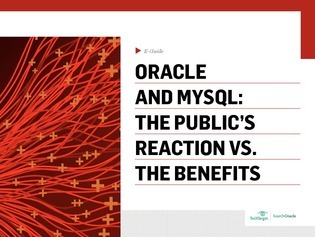 Learn how Culiniac and other experts a reconciling their positive experience with MySQL and the public’s doubts about Oracle’s intention with the database.